Gross floor area | 120 sq.m. 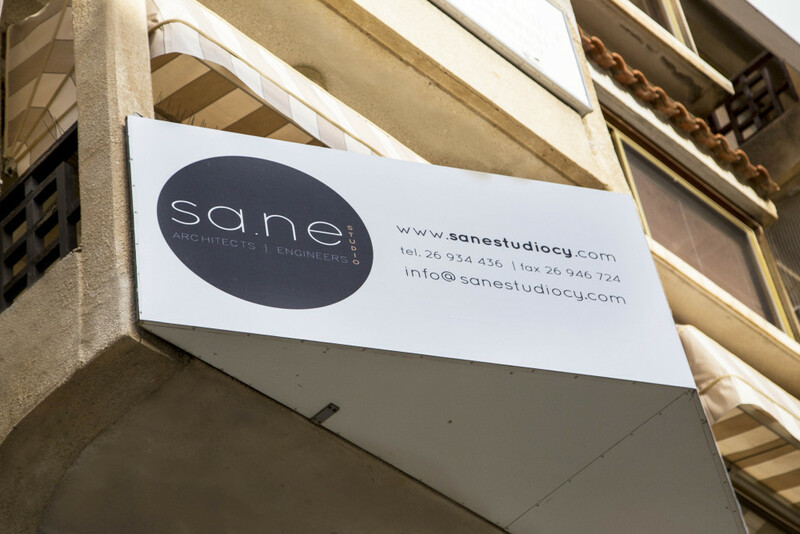 These are our offices, located in the center of Paphos. They are nearby the Court of Law, in a very busy area. Our offices are located on the first floor of ‘Colosseon court’. A complete renovation took over in Winter of 2014. 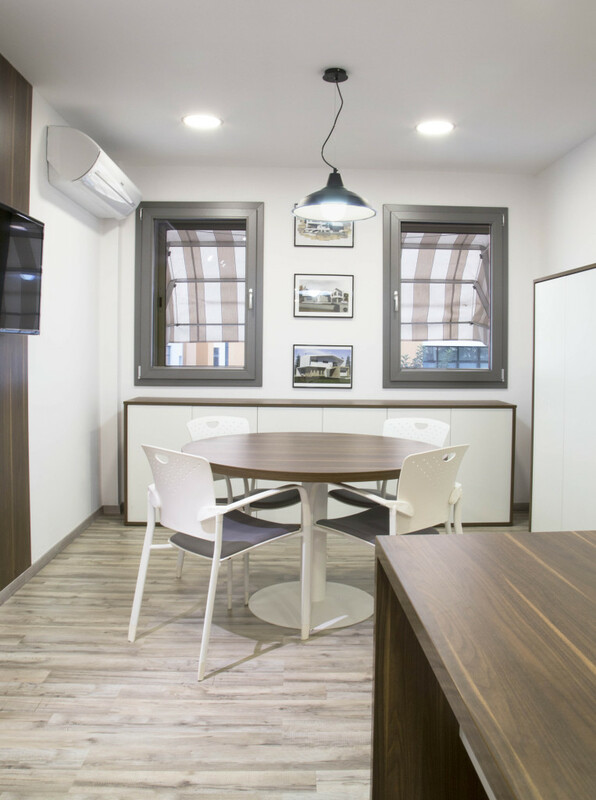 For the renovation of our offices we took into consideration matters such as functionality, rooms/space re-arrangement, as well as the improvement of the thermal performance, and the air quality. Also, what we wanted to achieve with this renovation, was the complete transformation of the offices. Also, we realised that it was vital to keep an element to remind us of the past, and not feel disconnected. So, what we decided to do was to re-paint the doors the same colour as they were since the begining of the office in 1989. 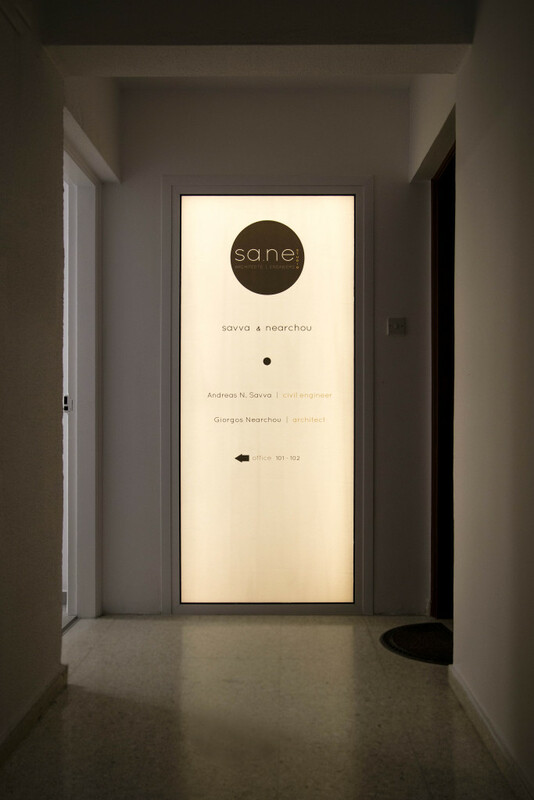 Moreover, the colour of the doors was the starting point for the selection of all the materials and colours that we have used in this project. To improve the thermal performance of our offices, and since we were not allowed to make any alterations on the outer envelope of the building, we created a new layer of plasterboard on the inside of the external walls, which we also insulated with 60mm of rockwool. Also, instead of replacing the existing aluminium double-glazed windows with some new ones, we chose to place uPVC windows with double-glazed low-e , on the newly created plasterboard walls. Therefore, we have our new windows inside our old windows for even better thermal performance, as well as noise reduction. What is more, we re-installed all the eletrics and created wired local area network.